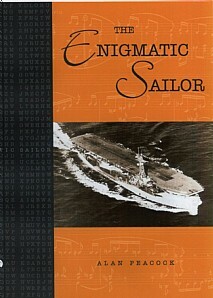 An essential further dimension to the ENIGMA story of code breaking. The part played by code-cracking in World War II has at last been dramatically revealed in a popular film and also inspired several accounts by code-crackers and countless broadcasts. Much less well-known is how code-cracking was used in operational situations. Now the 'Silent Service' at last speaks through the voice of a young and inexperienced naval officer whose rites of passage to manhood required him to act as a seagoing eavesdropper, a role calling not only for quick intelligence but also for facing up to excitement and danger. He was awarded the Distinguished Service Cross for his efforts. His story is interlarded with graphic accounts of life on the lower deck, being torpedoed in a Channel action, and how to contribute to intelligence information that was required to foil enemy attacks on Russian convoys whilst facing atrocious weather conditions. The influence this intense experience exerted on his subsequent career in becoming one of Britain's leading economists is also discussed. The book is sure to be of great significance to anyone interested in modern history, maritime warfare, naval intelligence and code-breaking. 'Enigmatic Sailor is not just another old man's war story. Though almost 60 years have passed I don't know of another published memoir which so well illustrates the history of 'Y' service afloat in the RN during the Second World War. ...This modestly-presented and modestly-priced book ... really does provide a vivid picture of a little-known aspect of the Second World War and will be appreciated by readers interested in the history of RN Intelligence generally and the origins of the RO(S) and CT branches in particular. Thoroughly recommended! '.